The H.Upmann Magnum 46 may be the best Corona Gorda, a bold yet smooth smoke, 5.6” (143mm) long, of 46 ring gauge, and comes in a 50 cigars cabinet. 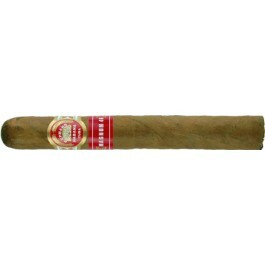 It is one of the most popular cigars of the brand with huge aging potential, with a strong following. Sadly The H. Upmann Magnum 46 is not as popular as it should be. However this Upmann has garnered its own accolades over the past few years, since 2003 the cigar has been rated twice, each time scoring 92 points.